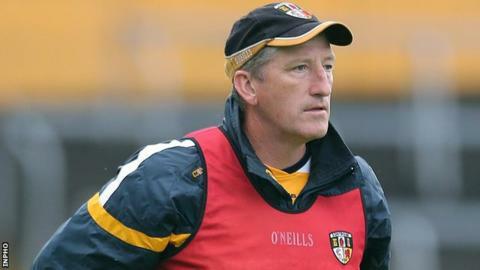 Antrim hurling manager Kevin Ryan has hit out at proposed changes to next year's National League which will see the Saffrons missing out on contests with Cork and Limerick. Cork and Limerick were set to feature in Division 1B along with Antrim but the proposals would see the two Munster counties playing in an eight-team 1A. "Cork were relegated because they had fewer points than anybody else," Ryan told the Irish News. Ryan added:"I think it is a bad thing for hurling but it is typical. These counties think they have a right to be in 1A. "When any of the those traditional counties shout loud enough, they just move for them." The Antrim boss is convinced that the proposals will be accepted at the GAA's next Central Council meeting on 12 October. "All those eight counties will vote for it. Then you will have football counties who couldn't care less but they will be looking for the support of those eight counties for something else, so they will go along with it." Ryan insisted that the GAA hierarchy should have retained the current format. "The two provincial champions (Limerick and Dublin) were in Division 1B this year. "Clare, the All-Ireland champions were in 1B up until last year. It doesn't add up." The Waterford man believes his team would have benefited considerably from contests against Limerick and Cork. "You want teams like that coming to Antrim and drawing a crowd." If the proposals go through, Antrim's opposition in 1B will be Offaly, Wexford, Carlow, Laois and Westmeath.